This super-healthy smoothie is as tasty as it is good for you! The more frequently I drink this smoothie, the more I crave it! I think it has seriously become my go-to favorite. I’ve been drinking one serving nearly every day for a week now and I feel terrific! It’s super-tasty, really easy, and I promise that you cannot taste the spinach. Your kids won’t even know it’s in there if you don’t tell them. It’s that good! Note: I tend to like my smoothies a bit on the runny side. If you prefer a creamier consistency, use frozen blueberries instead of fresh and/or use less apple juice. You could also dilute the apple juice with water to reduce the amount of sugar. 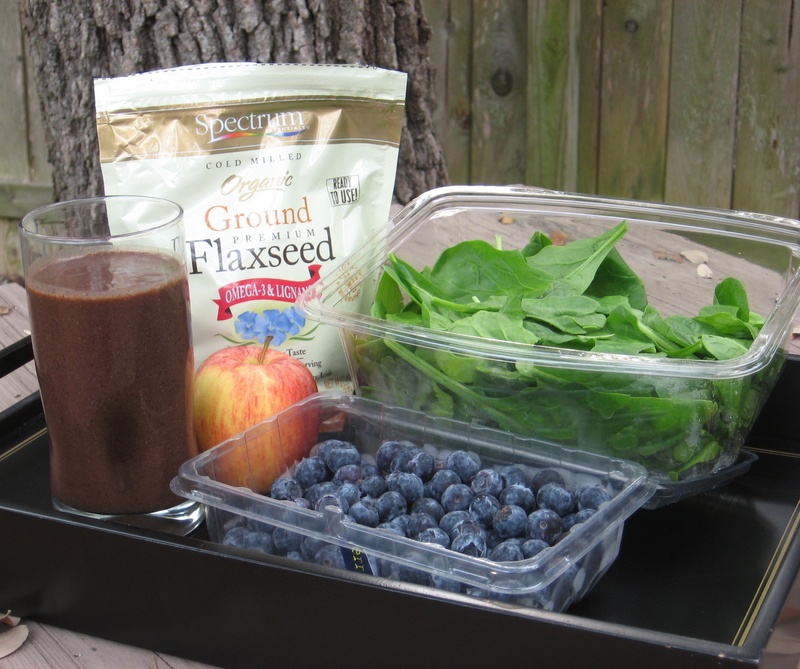 This Blueberry Broccoli Detox Smoothie is sweeter than you think and seriously healthy! I’ve been thinking ahead to my ritual New Year’s detox and have been experimenting with green smoothies recently. My parents stopped by a few days ago, bearing wonderful gifts: a beautiful broccoli crown from their winter garden and a new rose bush (both pictured above). The broccoli was so fresh that I wanted to eat it raw, to best capture its nutrients. 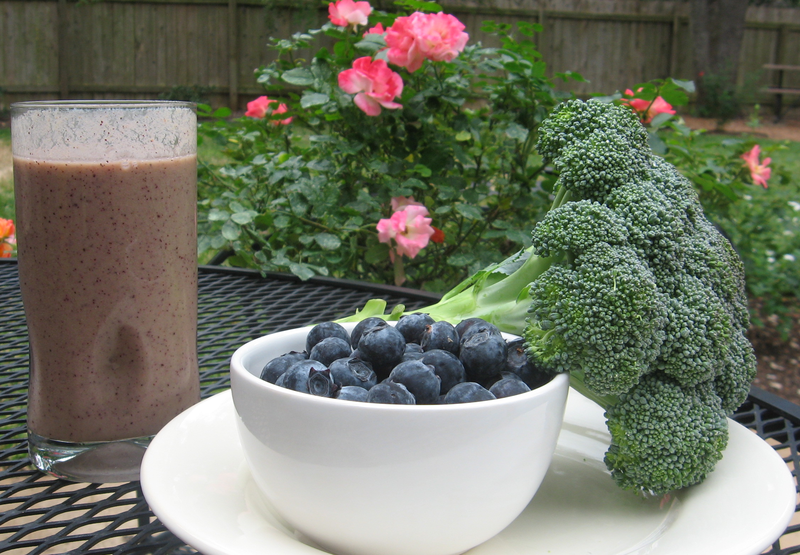 Being in such a green state of mind, I decided to try whipping up a broccoli smoothie! I came up with this quick and surprisingly tasty recipe detailed below. The broccoli taste is actually very subtle. Overall, this smoothie is sweet going down and has a sweet aftertaste. Want it even sweeter? Add some honey or agave nectar. Note: I tend to like my smoothies on the runny side. If you prefer a creamier consistency, use frozen blueberries and add some soft tofu or plain greek yogurt to thicken it up.